As we eagerly count down the minutes to tonight’s premiere of Game of Thrones‘ eighth and final season, theories about how the show will end are everywhere you look. Teasers haven’t revealed much, and while we know that the final book in George R.R. Martin’s series will eventually be called A Dream of Spring, we’ve long since left the source texts behind. While everyone has an opinion on whether Jon, Dany, or Tyrion will end up on the Iron Throne, our staff wanted to chime in with some different theories. Instead of predicting the most likely ending of the show, we took our wildest guesses and made some crazy predictions – because, hey, surprises are exactly what this show is known for. The Game of Thrones showrunners love a surprise twist, so who can really say what will happen? Read on for our craziest, most out-of-left-field theories and tune in to HBO every Sunday night to see what really happens. No one’s reunion will be as good as we’re all hoping. But, to quote our own Tatiana on our Pop a la Carte podcast, Gendry and Arya will reunite and hold hands and that’ll be it but everyone will scream and then fanfic will take over. No but for real, Dany will be queen and Jon Snow will die because he’s great and all with good hair but we’ve had enough dudes. Everyone can die and Sansa can reign with Arya as her sharp right hand (aka enforcer and executioner). The dragons eat everyone because they’re dragons. Global warming saves everyone. Winter is never coming. The CGI blue dude melts in record high temperatures, but then comes back as a gigantic snow monster in a bomb cyclone the next winter. He melts again in record highs in the month of February, and then returns yet again with even more ice powers in a mid-April bomb cyclone. All the snarky characters say eff it, pool their resources, and buy an island. They retire sipping cocktails at a beach. Jon and Dany aren’t invited because they take everything too seriously. Jon and Dany are obviously going to have a child (all the hints from last season were far from subtle) and this child might be the savior or end of all and will also take over the Seven Kingdoms. Once they defeat the Night King, our doomed lovers will die as they have fulfilled their purpose. Jon will ride one of the dragons. I previously believed in the Tyrion-as-a-secret Targaryen theory and that he might ride the third dragon but with one dragon turned into a zombie, Tyrion has missed his chance, sadly. Jaime and Brienne are finally going to get together! And then die in a blaze of glory. Arya and Gendry are going to be a kickass power couple. Sansa will be Queen in the North. Missandei and Grey Worm will survive and get to ride off into the sunset. The only weapon that can defeat the Ice Dragon is one of Hot Pie’s pies. Perhaps the wildest theory around is that Bran Stark, via the Three-Eyed Raven, is responsible for everything that has befallen Westeros up to this point. This fan-driven concern is driven by the belief that he can not only see the past, present and future, but also interact with it. We know he’s controlled Hodor through warging before, and was indirectly responsible for damaging his mind when he used that power in one of his visions. Unfortunately, not everyone learns from their first mistake, so it’s possible that he could try warging while greenseeing again on someone else. Perhaps he drove Aerys mad while attempting to prevent the very reality he has created? How very Sophoclean. Or perhaps he went back even further and, in the course of trying to fight alongside the Children of the Forest, caused their extinction? 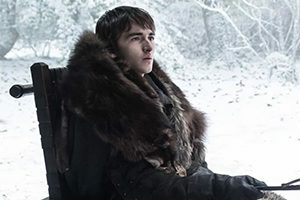 The number of Brandons throughout Westerosi history alone is impressive – could they all have some connection to Bran himself? 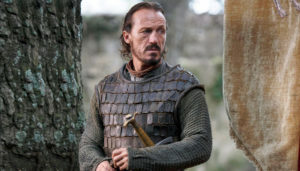 Maybe he’s previously taken over for Bran the Builder, or even Ned’s brother Brandon and thus accidentally caused the deaths of his grandfather and uncle. This is a pretty tough pill to swallow, but it would follow along with the theme that power isn’t all it’s cracked up to be. Much like Melisandre, Bran’s power can cause much more harm than good if he can’t interpret or implement it correctly. What are your so-crazy-it-just-might-happen theories? Share them in the comments below!